Google was founded by Larry Page and Sergey Brin while they were students at Stanford University. The company was officially launched in September 1998 in a friend’s garage. In one of the most anticipated Initial Public Offerings (IPO) Google raised $1.67 billion in August of 2004. Today, Google has over 12,000 employees in offices throughout the world. In 2006, Google was selected by MBA students as the ideal place to work. In 2007 and 2008 Fortune Magazine named Google the Number 1 employer in their annual 100 Best Companies to Work For. Google is a high-energy, fast-paced work environment. While the dress code might be “casual” the company attracts and retains some of the brightest minds in the technology industry. There is a work hard, play hard atmosphere. The Google Mountain View, CA headquarters (aka “the Googleplex”) is a campus-like environment. There are workout facilities, a café, well-stocked snack rooms, and a dorm like environment. View the Google Office Descriptions for more details. In my opinion, one of the coolest programs at Google is the 20% time program. All Engineers at Google are encouraged to spend 20% of their work time on projects that interest them. Not only does this keep Engineers happy and challenged, but its also good business: some estimates put half of all new product launches can be directly attributed to projects that came from the 20% time program. Current job postings in Engineering include openings for Software Engineers with extensive experience in C++ programming and in Java programming. There are also a lot of openings for Testing Engineers and a few for Web Designers. The current postings for Operations and IT include openings you would find in many Information Technology departments, including System Administrators and Help Desk Technicians. There were dozens of openings in their Data Center as of this writing. Google actively recruits college graduates, with a special website section specifically for students. Google offers both internship and full-time employment opportunities on their student recruitment pages. Google also has offices internationally. While much of the information presented here refers to Google’s US offices, they currently have hundreds of Google Openings Worldwide in areas such as Asia-Pacific, Europe, the Middle East, Africa, and the Americas. I counted openings in 57 worldwide locations, not including those in the United States. 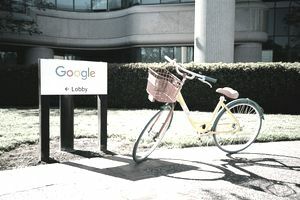 The Official Google Blog is a look at life inside Google, written by staff members from different departments in various Google locations around the world. Google has a philanthropic organization now, as seen at Google.org aimed at finding solutions to some of the global problems facing the world today. Google.org has a grant dissemination program that provides free advertising to select charities. Lend a helping hand. With millions of visitors every month, Google has become an essential part of everyday life—like a good friend—connecting people with the information they need to live great lives. Appreciation is the best motivation, so we've created a fun and inspiring workspace you'll be glad to be a part of, including on-site doctor and dentist; massage and yoga; professional development opportunities; on-site day care; shoreline running trails; and plenty of snacks to get you through the day. We love our employees, and we want them to know it. Google offers a variety of benefits, including a choice of medical programs, company-matched 401(k), stock options, maternity and paternity leave, and much more. Innovation is our bloodline. Even the best technology can be improved. We see endless opportunity to create even more relevant, more useful, and faster products for our users. Google is the technology leader in organizing the world’s information. Good company everywhere you look. Googlers range from former neurosurgeons, CEOs, and U.S. puzzle champions to alligator wrestlers and former-Marines. No matter what their backgrounds Googlers make for interesting cube mates. Uniting the world, one user at a time. People in every country and every language use our products. As such we think, act, and work globally—just our little contribution to making the world a better place. Boldly go where no one has gone before. There are hundreds of challenges yet to solve. Your creative ideas matter here and are worth exploring. You'll have the opportunity to develop innovative new products that millions of people will find useful. There is such a thing as a free lunch after all. In fact, we have them every day: healthy, yummy, and made with love.